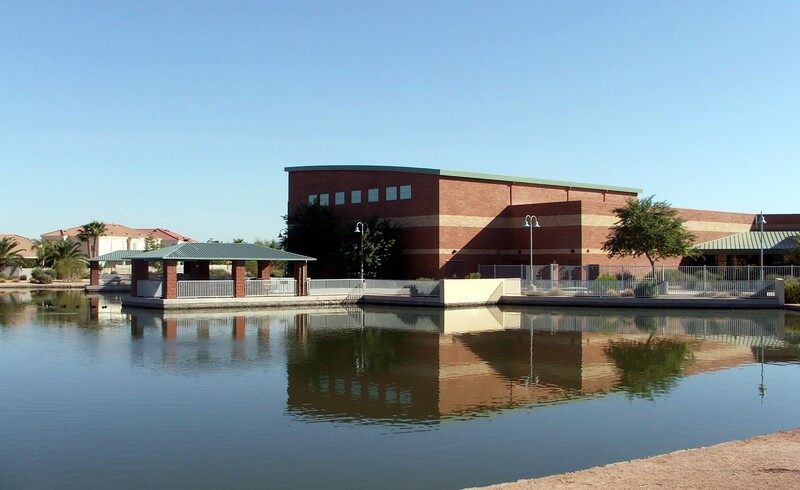 If you’re driving south on McQueen Rd between Guadalupe and Elliot, you could easily miss one of Gilbert’s most amenity rich parks, McQueen Park. With only 500 ft of street frontage on the east side of the street, you will not see the 27,000 sq.ft actiivty center with a 2 acre lake or the sand volleyball courts or tennis courts or soccer fields and ramadas and barqueques. The total complex, park and activity center, covers approximately 40 acres. The 27,000 sq.ft. 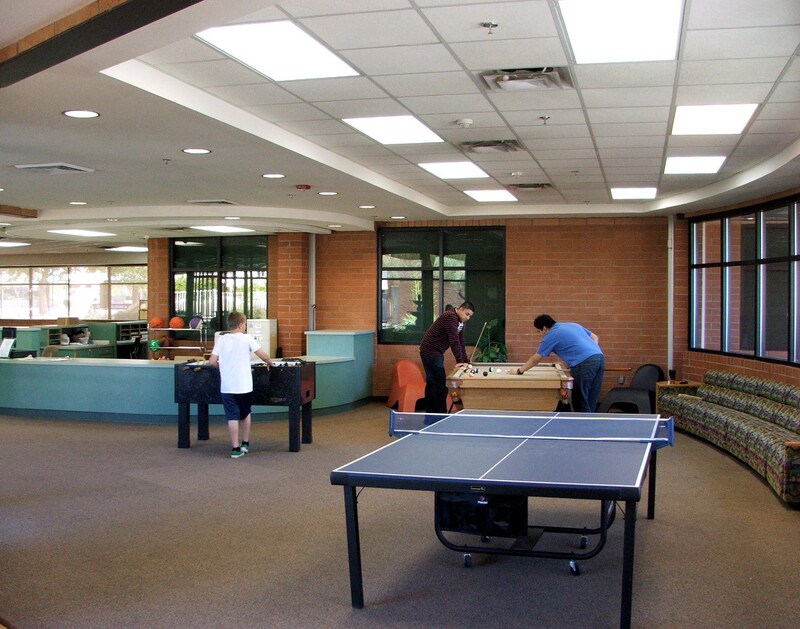 McQueen Park Activity Center is host to a gymnasium , game room with Wii, X-box and play station systems, pool table, ping pong, foosball, air hockey, a lobby with a 51″ TV and rooms for leisure pursuit classes. There is plenty of area to hang out or go outside and walk around the 2 acre lake that is to the west of the center. 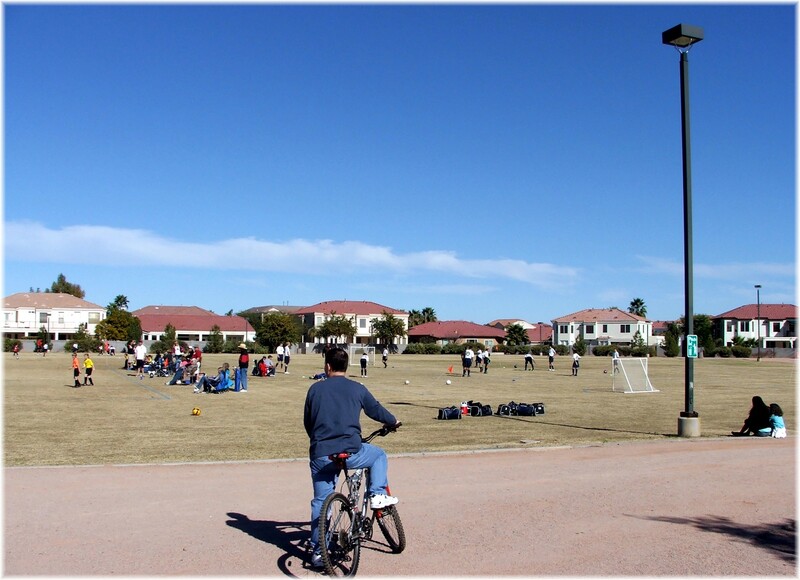 McQueen Park is directly south of Playa del Rey Estates and 1 mile north of The Islands lake community and 1 mile west of the waterski community, Crystal Point Estates, and 2 miles from Lago Estancia. It is necessary to walk around the entire park to appreciate what it has to offer. When you enter from McQueen Road you’ll see the 4 baseball fields and then the 3.5 acres of grass that is host to numerous soccer games on many weekends. 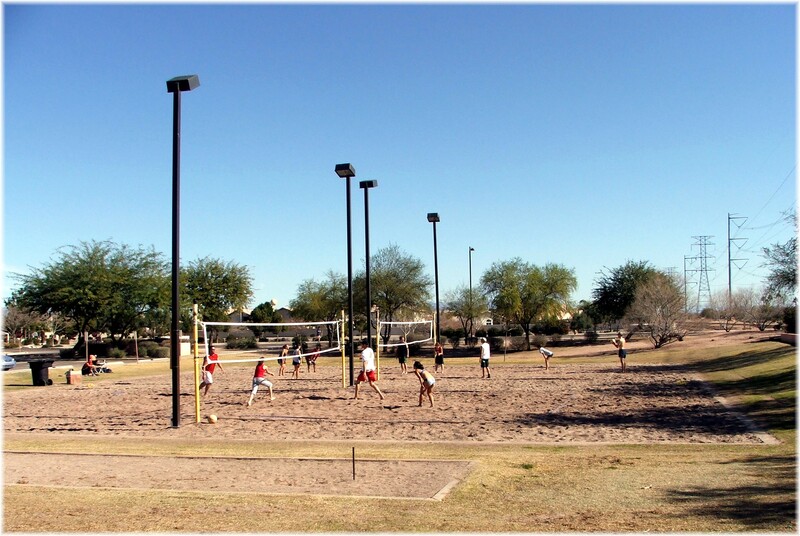 On the east side of the activity center, there are 2 basketball courts, 2 sand volleyball courts and 2 tennis courts with a picnic/barbeque area close by. To the south of the basketball and tennis courts are four softball diamonds. If you have further questions regarding McQueen Park or the activity center, or Gilbert homes and real estate, please feel free to call or e-mail me. To receive listings close to McQueen Activity Park, just click on send me available houses and provide a description of what you’re looking for. Next PostNext Ice Skating in Gilbert and Chandler – You Bet!